A damaged alien spacecraft makes contact with CHEETARA’s Sixth Sense. The effort involved in this telepathic communication drains her strength. She ages rapidly. 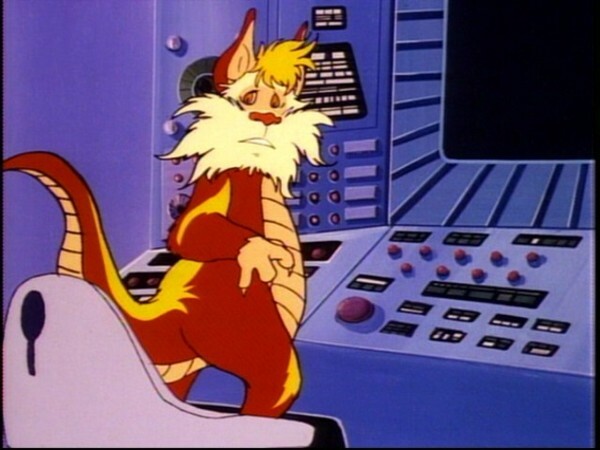 The THUNDERCATS have to find the crashed spacecraft if they are to save CHEETARA—but the MUTANTS get there first. They are [not] able to understand its strange technology and MONKIAN attacks it, ripping its Control Center (the element with which CHEETARA communicates) from the framework and taking it back to Castle Plun-Darr. LION-O, WILYKAT, and WILYKIT break into the Castle to rescue it, while PANTHRO and TYGRA repair the framework of the alien craft. 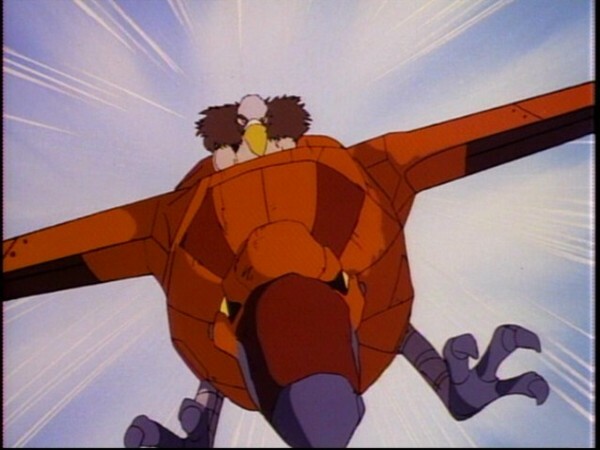 At the climax of the fight between LION-O and the MUTANTS, the spacecraft itself flies in and drives the MUTANTS out. It is operating under direct control of the now desperately weak CHEETARA. 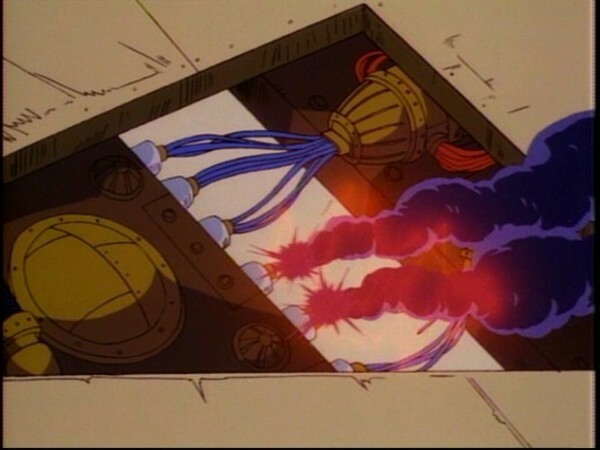 TYGRA and PANTHRO fit the rescued Control Center into the spacecraft and it leaves Third Earth. 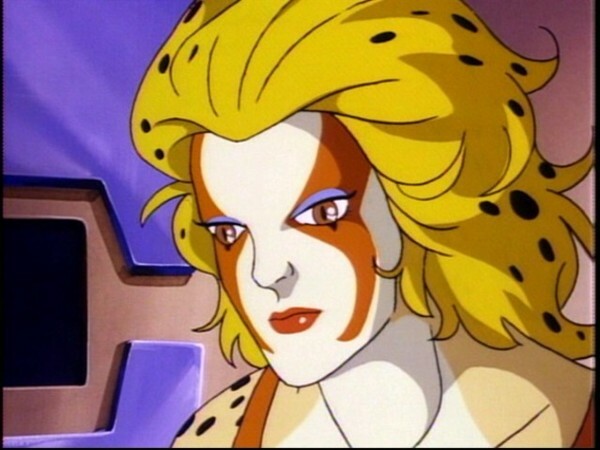 Cheetara’s intuition, or Sixth Sense, is focused onto the friendly Delta Spacecraft, which uses her as a means of communicating and seeking help. Though she becomes emotionally drained and even her life is placed in danger, she understands what the Spacecraft is experiencing and vicariously feels and experiences what it is subjected to. She is able to sense what is needed to rescue the craft, even associating with it to the point of functioning as its life-force until its Control Unit is replaced. In persons, empathy is that quality represented by Cheetara’s experience in this episode. Empathy includes three components: the ability to discriminate and label affective states in others, the ability to assume the role and perspective of others, and the ability to emotionally feel the affective state of the observed person. It is an important quality because it may be an antecedent for the acquisition and development of pro-social behaviors like generosity, altruism, helping, and cooperation. Since it has been shown to have an inverse relationship with aggression, it is viewed as a means of regulating aggressive behavior, because being able to identify with the painful consequences of an aggressive act can inhibit acting aggressively. In general, empathy is easier for children when the observed person is similar to the observer, e.g., boys are more empathic observing boys and girls observing girls (Feshbach, 1978). Efforts to enhance empathic skills by helping children gain the perspective of others, role-play, be sensitive to affective skills, and be emotionally responsive can be important to children in their personal and moral development. 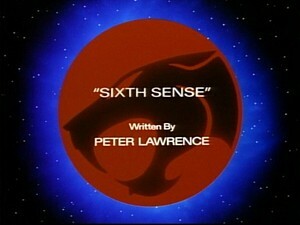 “Sixth Sense” is an exciting and intriguing episode that adds much to the ThunderCats series on a variety of levels. As well as sowing the seeds for plot points in later episodes, the episode is a brilliant and inspired showcase for Cheetara, and indeed a good showcase for most of the series’ main characters. 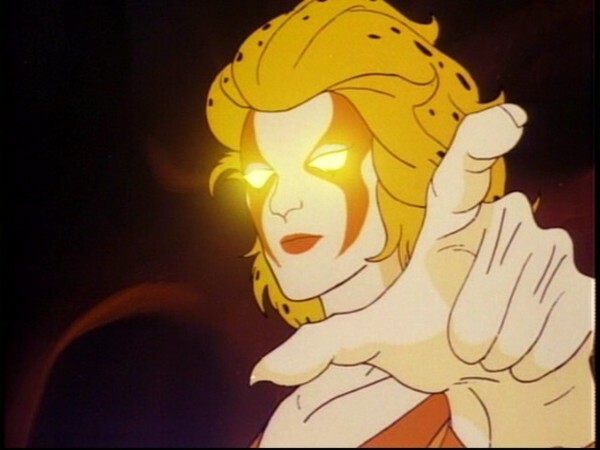 The concept of Cheetara’s sixth sense being something of a double-edged sword was first touched upon in “The Ghost Warrior”, the episode where her psychic abilities are first revealed. At times throughout the remainder of the series, this sixth sense would serve as a highly useful plot device, culminating in the Season Three masterpiece, “The Telepathy Beam”. However, that episode would not work so well without this one having already taken place, for “Sixth Sense” shows Cheetara at the mercy of her abilities, both at her most vulnerable and, in the end, at her strongest. One of the most commendable things about the character of Cheetara is that at no point in the series is she portrayed as a weak damsel-in-distress type character. Instead, she consistently serves as a strong female role model for young viewers. The writers (mostly men, admittedly) ensured that Cheetara retained her femininity, on top of being a strong and capable woman who could take you down in battle. 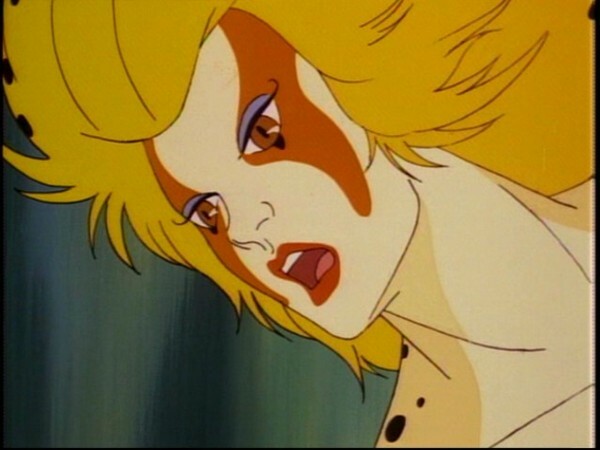 As such, the challenge in treating Cheetara as vulnerable is to find a plot device that can exploit her character’s unique qualities, without compromising her integrity or painting her as weak because of her femininity. This is where Cheetara’s sixth sense can truly be appreciated for its storytelling potential. In many ways these psychic abilities are a strength and superpower—indeed, they proved to be a central turning point in “The Ghost Warrior”. Yet, taken to their extreme, they also provide Cheetara with her greatest weakness: a susceptibility to outside influences, like this episode’s alien spacecraft, or Vultureman’s telepathy beam. 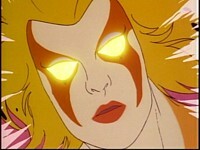 As well as showing Cheetara at her weakest, this episode succeeds in showing Cheetara at her strongest. Even though the alien spacecraft and the abuse it is subjected to are constantly draining her strength, pushing Cheetara to the point of near death, at no point does she lose her force of will. She pushes herself to the limit by joining Panthro and Tygra to help save the spaceship, and then shows a true command of her mental powers by taking command of the spaceship and using it to defeat the Mutants. This scene alone helps sow the seeds for “The Telepathy Beam”, where Cheetara begins to truly master her abilities, and as such is one of the most defining moments for her character in the first season. There are lots of other great character moments in this episode as well, not least of all for the Mutants. 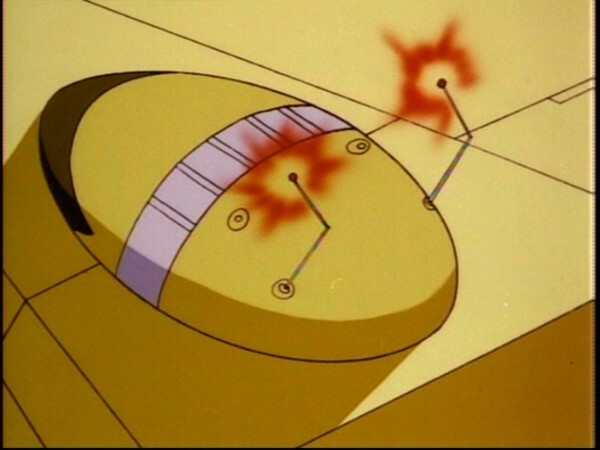 Although there is a limit to how much development their characters can receive, in this episode the Mutants’ individual personalities greatly enhance the plotline involving the spaceship. When someone encounters something they don’t understand, a relatively natural tendency is to become afraid of it, and as such the tendency of a more childlike or under-developed mind could be to lash out and attack it. 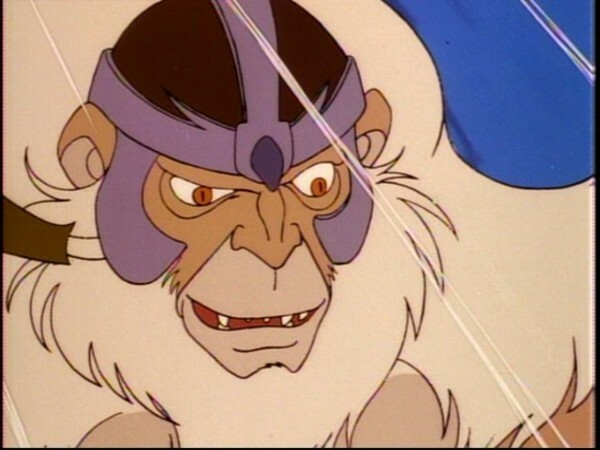 This is the role that Monkian, the least intelligent of the Mutant leaders, fulfills in this episode. Vultureman, meanwhile, reacts with consistent exasperation at his comrades’ lack of enthusiasm for scientific discovery. Whilst a relatively small character touch, this nonetheless sows the seeds for storylines in many future episodes, with Vultureman consistently driven to striking out on his own, eventually deserting the Mutants in favor of an alliance with the Lunataks. Without question, the addition of Vultureman would add a unique dynamic to the Mutants, and this is evident even in this early appearance of his. 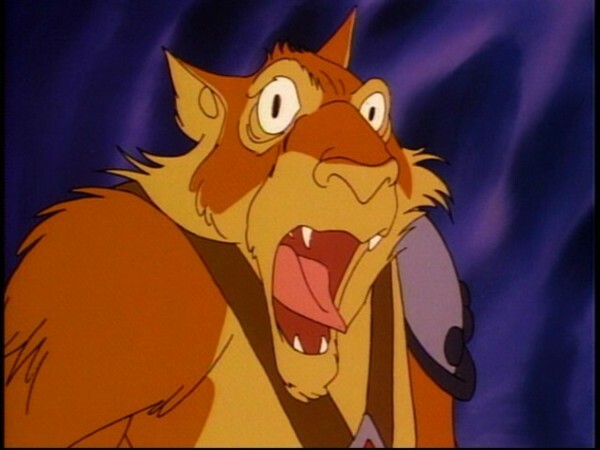 Another nice touch is seeing how readily the other ThunderCats accept the concept of WilyKit and WilyKat joining Lion-O in the assault on Castle Plun-Darr. Whilst it could be argued that they have no choice, with Cheetara incapacitated and both Tygra and Panthro needed at Cats’ Lair, it is refreshing to see the Kittens regarded as capable and unquestionably worthy of joining Lion-O on such a dangerous mission. If this episode has one weakness, it would probably be the animation, which is at times quite breathtaking, yet at other times very stylized in its Japanese influence, and thus something of an acquired taste. Whilst it would be unfair to describe it as truly “bad”, for fans of the more traditional style of animation that would be evident throughout much of the ThunderCats series this episode takes a little getting used to. This very minor gripe aside, this episode is easily one of the strongest of Season One, and essential viewing for Cheetara fans. In short, this episode is deserving of the highest compliment I can pay it—that, without it, the ThunderCats series as a whole would be weaker. Over a decade has passed since this review was first written, and in the ensuing years, conversations about how women’s perspectives and stories are represented in the media have permeated mainstream culture. In light of that, it’s worth saying, first, that Chris (He-Fan) is a man, and so am I, and so is Peter Lawrence. In fact, 120 out of ThunderCats‘ 130 episodes were written by men, and all of the writers reviewing them here at ThunderCats.org are also men. While I haven’t altered the arguments that Chris made in his review above, I have made some changes to unintentional wording that set off some alarms in my Me Too-era ears, and I have a few additional thoughts that I’d like to share here. Robert Kuisis’s analogizing of Cheetara’s sixth sense to human empathy is a good one. There are social, civic, human lessons to be learned from identifying with someone else’s emotional state. But that’s not exactly what happens in this episode. Quite the opposite, it’s Cheetara’s empathy—her ability to feel emotions—that takes her down. This verges uncomfortably close to a distinctly sexist trope: woman is overcome by emotion and becomes catatonic, because women can’t control their emotions. The episode’s saving grace, of course, is that Cheetara’s will is strong enough to get her out of bed and help her save the day, harnessing her gift in the process. But it still feels close enough to the trope that it irks, and it casts Cheetara’s sixth sense in a misogynist light that started in “The Ghost Warrior”. Why is the woman ashamed of her power? Why is it a source of weakness for her? Why can’t she control it? Why label it a curse rather than a gift? As Chris mentioned, we later see Cheetara harness her gift to even greater effect in “The Telepathy Beam”, but there, writer Kimberly Morris eschews the hysterical woman trope. That story doesn’t turn on Cheetara’s sixth sense as her weakness. Rather, it turns on her sense of self-confidence: failure after failure beating her down and sowing tremendous doubt about something that’s always made her self-conscious, because she’s always felt that it’s out of her control. That’s why “The Telepathy Beam” is such a masterful episode—the self-doubt that cripples Cheetara (which we’ve seen from her before, in “Dimension Doom”) is universal, and it separates the weakness from the gift, squashing the notion that her empathic powers are inherently harmful. It’s the doubt that’s harmful, and overcoming that doubt ultimately gives her control of her powers. The lesson of “Sixth Sense”, meanwhile, almost seems to be that too much empathy can be a bad thing, so better buck up. All that said, I don’t think Peter Lawrence approached this episode from a misogynist place, and I think he deserves credit for ultimately giving Cheetara complete agency in the story’s resolution—she comes off as a total badass in the end. But I do think it’s fair to say that Leonard Starr, in establishing Cheetara’s sixth sense, did draw on old-fashioned female characterizations pervasive in the midcentury social environment he came up in. And I think acknowledging that helps explain why the way male writers treated her sixth sense is different from (and surpassed by) the way one female writer treated it 70 episodes later. In this episode, two different sequences of animation from previous episodes are reused, both close-up shots of ThunderCat characters: a closeup of Tygra from “The Fireballs of Plun-Darr”, and a shot of Wilykat from the opening treetop scene in “The Slaves of Castle Plun-Darr”. 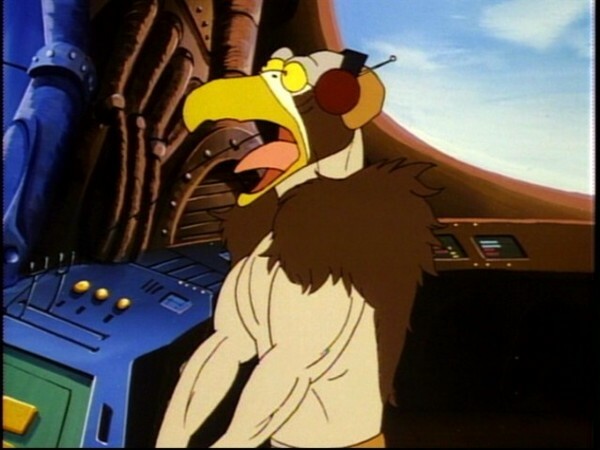 This episode provides Vultureman with easily his most significant role in the series so far, and it also marks the first occasion that he is voiced by Earl Hammond, who would voice him for the entire remainder of the series. 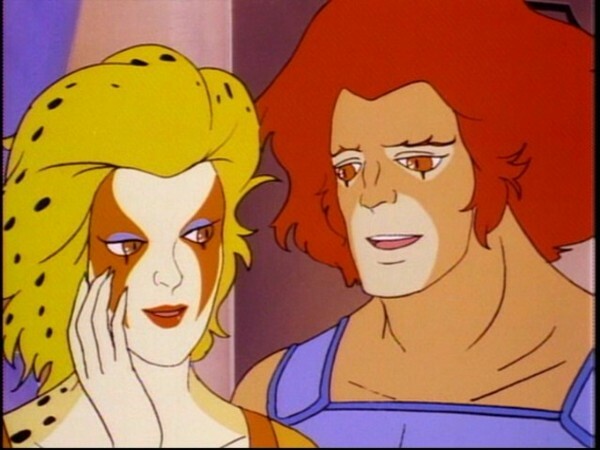 The sequence at the episode’s conclusion where the alien spaceship pushes Lion-O into Cheetara, which fans rightly regard as a romantic gesture, was actually not in the original script. It may have been added by the animation studio, or added by the writers further into production.